Dubai: The UAE airlines said they are resuming flights to India’s Cochin International Airport effective Wednesday as the airport is reopening nearly two weeks after it was forced to stop operations due to flooding. Emirates airline, Etihad Airways, flydubai and Air Arabia all confirmed to Gulf News they are resuming flights to the airport in Kerala. Emirates airline, Etihad Airways, flydubai and Air Arabia all confirmed to Gulf News they are resuming flights to the airport in Kerala, the southern Indian state that has been devastated by severe rain and flooding. Kerala’s Cochin Airport stopped operations as a result of the flooding on August 14. “Flydubai expresses its deepest sympathies to those affected by the devastating floods in the southern Indian state of Kerala. Flydubai flights to Cochin will resume with FZ441 departing Dubai International at 10pm on August 29,” the budget carrier said in a statement. 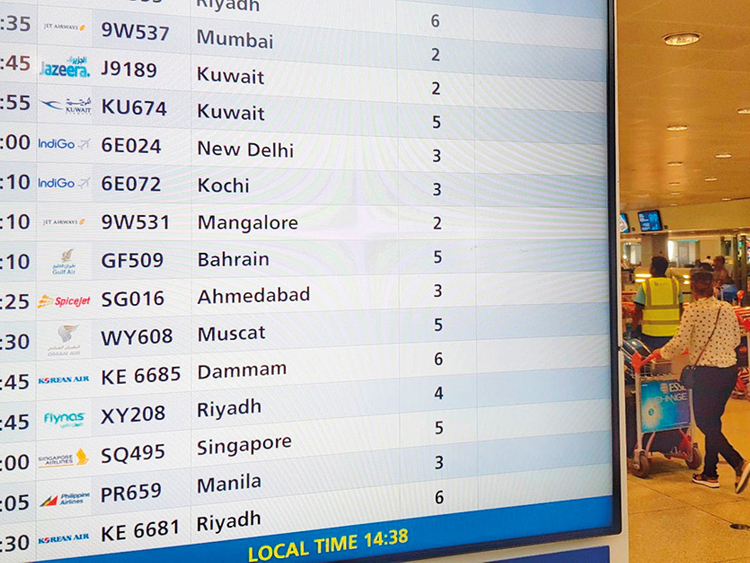 The first flydubai flight to Dubai from Cochin following the airport reopening will be at 2.50am on August 30. Similarly, Emirates said it has already resumed operations to the airport, as Etihad Airways said it will resume operations with a flight at 1.55pm on Wednesday. A spokesperson for Etihad said that the carrier may have short delays to make sure Cochin Airport is fully operational. Sharjah’s Air Arabia also said that it has its first flight scheduled from Sharjah to Cochin at 1.10pm on Wednesday. Meanwhile, Cochin Airport confirmed in a statement that it will commence “full-scale operations, both international and domestic,” at 2pm (local time) on Wednesday. “Passengers can now book tickets to/from [Cochin Airport] as most of the airline’s sites have already started facilitating journey planner on or after August 29,” the airport said. According to preliminary estimates, Kerala has so far seen a loss of Rs200 billion (Dh10.40 billion) since August 8 from the deadly spell of monsoon, which has taken the lives of hundreds with about a million other people seeking refuge in temporary relief camps. The flooding has also caused an outbreak of waterborne diseases, including skin diseases and respiratory problems among the people.